What’s in a number? Numerologists say, “Plenty.” The practice of numerology has fascinated and guided people since ancient times. Numerologist and author Ruth Drayer believes this science can help us unlock our own personal mysteries, learn the power of our intuition, and lead us to a better life. In her Numerology trilogy, Drayer presents a guide for understanding and implementing numerology, teaching the reader about its history to fundamentals. The books are titled Numerology: The Language of Life; Numerology, the Power in Numbers; and Numerology, The Power in Numbers: A Right and Left Brain Approach. BOYT: In basic terms, what is numerology and how did you get into studying it more than thirty years ago? Ruth Drayer: Numerology is an ancient system (updated for modern times) that gives people a clear understanding of who they are and explains their life journey. It helps them reframe their perspective on themselves and their lives by explaining their life plan. I got into it in 1972, when I was newly divorced and looking for a deeper understanding and broader perspective on my life. I purchased a game called Numerology, which showed me the basic principles and how Numerology worked and answered a few of my questions. But it raised many others. It intrigued me and before long, I was trying it out on others to see if it helped them to make sense also. I think if I had merely taken some classes and it was all laid out and handed to me, I’d have forgotten it. But because I had to do my own researching and learning, my fascination continued. Just when I was getting bored reading all the books I’d assembled, a friend came for a numbers reading and told me to put down all the books and tell him what I personally knew. This was a pivotal point because it was the encouragement I needed to use my own intuition rather than continuing to rely on words of the “authorities” who had written those books. BOYT: You use what is called the Pythagorean system of numerology. How does Pythagorean numerology differ from other forms? Ruth Drayer: There are many systems in use throughout the world: including Asia, Arab countries, Tibet and India; and there’s the Jewish Gematria. They are all similar in that the meanings of the numbers are basically the same but they differ in the way that you translate letters or words into numbers. The system I use is called Pythagorean (and is the most commonly used in the Western world) but it was actually developed around the turn of the 20th century. It’s based on Pythagoras’ law of opposites, the Judeo/Christian story of creation and the teachings of what was called “New Thought.” It is the newest system and, I think, the most positive and supportive of life today. 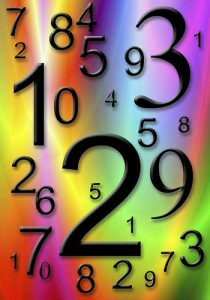 BOYT: What is your goal with Numerology: The Power in Numbers? Can you give us an overview of the premise behind your book? Ruth Drayer: My first book, Numerology: The Language of Life, was written in attempt to give back to numerology for all the wonderful things it had given me. It seemed to me all the books were trying to make numerology seem scientific and complicated—some I’d had trouble understanding despite my years of experience. Not only did I want to simplify the study and make it playful, I wanted people to understand that once they learned the basic rules, there was a wealth of knowledge waiting inside their own intuition. I wanted to encourage people to not be dependent on books, but believe in their inner knowing. Since that first book, each of the three editions (including the two Numerology, The Power in Numbers editions) have allowed me to progress and hone my ideas. And another reason was that I see it all from a more spiritual view than other books that were on the market at that time. This is another thing I get grateful feedback on from readers; they say it’s like I wrote that book just for them. BOYT: In your book you talk about how numbers are symbols, but that we bring our own perceptions and intuitions to the practice. How can numbers be concrete symbols and yet be interpreted differently depending on what we intuit? Ruth Drayer: There are no “concrete” symbols. Symbols (or glyphs) can have several meanings. For example, the image of a fish can mean something that swims in a lake that once battered, becomes fish and chips, a follower of Jesus, or part of an astrological sign. The number 2 can symbolize two girls or ice cream cones, the word “to” when texting on your i-Pad. In numerology, 2 represents things that can be felt but are hard to actually convey in words like energy, balance, harmony and intuition. BOYT: In Numerology you guide readers to create their own numerology charts. What can we learn from our charts? Ruth Drayer: Basically, I think we are all taught to listen outside ourselves and be who our parents, or society, or our school teachers think we “should” be. Your name and your birthday actually define and confirm we are individuals. When a person has an urge to end a relationship, quit a job, move, or begin something new, but society or their family tells them to hold on to what they have and be satisfied—but the urge continues on—they will usually find verification that they are right on the mark from the Personal Year cycle. We really do change all the time and the 9-year cycle defines the time for starting things (year 1), for being patient (year 2,) for being creative and planting new seeds (3), for being organized and laying down foundation (year 4), for expanding and risking, (year 5), etc. It also is a good way to see that we really do have intuition and know what we need to know about ourselves. The chart is the heart of a reading because it pulls everything together so that you can lay it out and see everything together in one place. BOYT: It’s been said that your book brings a fresh perspective to numerology with a left-brain/right-brain approach. What does this mean and how is it different than other perspectives? Ruth Drayer: Instead of reading the numbers in the sequence we usually see them in, I teach that even numbers belong to one family with characteristics associated with the left hemisphere of the brain and the uneven numbers associated with the right side of the brain. I teach that if you learn the definitions of the numbers, they symbolize the same thing no matter what position you find them in. Whether it’s your name or birthday, or any of the other places a 1 can be found, 1 stands for either the development of or demonstration of the courage to be yourself. I teach that numbers mean the same thing wherever you find them whereas many other books make it sound like the numbers change by where they were located. One comment I get from readers is that there is so much freedom in my book. I believe there are many correct interpretations—including the readers’. For this reason, my book has been popular with intuitives, artists and creative people. I came to this understanding because I disagreed with a vital issue taught in Numerology, The Romance in Your Name, by Dr. Juno Jordan, who is basically the person who brought Pythagorean numerology to the prominence it has and she had been doing numerology longer than I had been alive. When we finally met, she laughed and agreed she could see my point of view on it and was happy to exchange opinions with me on the list I brought to our first meeting. At age 98, she told me she was happy to die and leave numerology in my hands and those of people like me. BOYT: Does numerology preclude free will, or can we have a destiny and still make choices along the way that change it? Ruth Drayer: Nothing precludes our free will. I compare it to our own Monopoly board. We have free will to buy houses, pass Go, pick our Chance cards; however, we stay within our board. BOYT: Do you have any “favorite” stories of individuals who have been able to use their charts to make great life changes for the better? If you do, please share with our readers. Ruth Drayer: Truthfully, I have more touching stories and more “job satisfaction” that I can even begin to tell you. People have quit jobs, changed careers, left unhappy marriages, become happier, not gone back to school. Recently a client told me she’d been depressed all her life. Nothing had helped—I was her last resort. She came back so her daughter could have a reading and told me I’d changed her life! She’s happy now and sees things in a completely different light! “Knowing what my name added up to gave me courage to show up in my life with more boldness and confidence than I may have otherwise. Also, I have a 6/7 thing going on which means sometimes I want to be with people and sometimes I don’t. Knowing this helped me expand to include all of me, thus becoming more sensitive to my own needs and timing. My numbers also indicate I’m a communicator. This info encouraged me to take the risk and begin writing, which I have now consistently been doing for the past ten years. The most recent reading I had with Ruth helped me with a very simple focus on beauty as a way to navigate through my life. If I am in touch with beauty, I am in a good place. If not, I have the opportunity to tend to myself. Simple and profound.” – Client in Chicago. “Although I had looked at my numbers previously, I was drawn to Ruth like a moth fluttering around a light bulb. I met her at a psychic fair, ran home researched her web page and her books and ran back, with much excitement. I scheduled a reading and bought her book. ..a most fascinating and soulful read about the energy of numbers. My reading(s) with Ruth have helped to light my way in making wise choices at this stage of my life…and, most especially, to recognize my true God-given potential…and that this beautiful butterfly can free herself to fly.” – Client in Santa Fe, NM. “I’d like to schedule another reading with you. You did one for me on December 8, 2006 (and one for my husband, and one for us as a couple). It’s been great reviewing my notes from that reading five years go. Your insights have brought me much peace as we survived my husband’s prostate cancer and recent diagnosis of early Parkinson’s disease. I’ve written four books. My first one was published a few months ago. My husband is starting a new business related to prostate cancer.